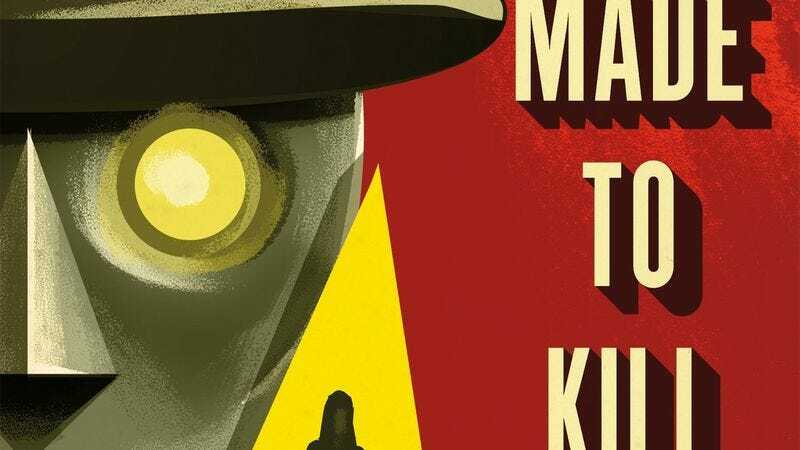 A robot private eye who clanks around the hardboiled streets of 1960s Los Angeles, seeking to unravel a Cold War plot as well as the secrets of his own creation: What’s not to love about the premise of Adam Christopher’s latest novel, Made To Kill? Here at The A.V. Club, we loved it so much that we made it one of our favorite books of 2015. Now you can win one of three free copies, autographed by Christopher himself and provided by Tor Books (at whose website “Brisk Money,” Christopher’s novelette that laid the groundwork for Made To Kill, can be read). Made To Kill is the first installment of a trilogy, so now is the perfect time to get in good with the titanium-shelled Raymond Electromatic, L.A.’s unlikeliest champion. For your chance to win one of three signed copies of Made To Kill, simply send an email to avcontests@theonion.com with the subject line “Made To Kill.” Be sure to include your name and mailing address in the body of the email. U.S. entrants only. We’ll select three winners, at random, from our eligible entries on Wednesday, January 13 and notify them via email.